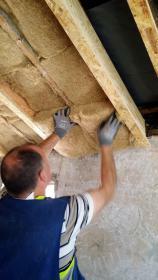 Thermo-Hemp is a natural insulation material manufactured from hemp. Hemp grows up to a height of nearly 4 metres within a period of 100-120 days. Because the plants shade the soil, no chemical protection or toxic additives are required for hemp cultivation. 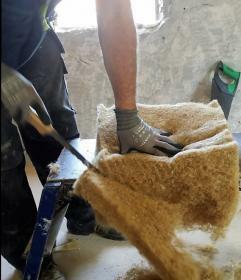 As well as having low embodied energy during manufacture, hemp is carbon negative as it locks in carbon during its growth. Hemp is one of the oldest cultivated plants on earth, hemp is not only used as an excellent insulating material but also for clothing, paper, oil, fuel, food and other construction materials. 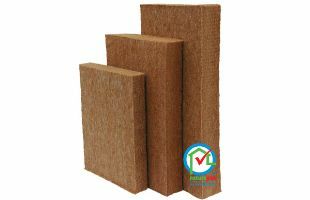 With a thermal conductivity of 0.04W/(m.k), a density of 38kg/M3 and thicknesses ranging from 40mm to 200mm, Thermo-Hemp is the perfect solution for wall, floor and roof applications in both new and old buildings.